The Encorė Skin Cancer Clinic (formerly known as the Christchurch Skin Cancer Clinic) is run by experienced Dermatologists and Dermatological surgeons Dr. Grant Bellaney and Dr Marie-Claire Fergusson. The former Christchurch Skin Cancer Clinic has become the Encorė Skin Cancer Clinic. That means we have a fresh new look but all the skills, expertise and experience to provide you with the highest quality medical care. Dr Grant Bellaney has been diagnosing and treating skin cancers for over 20 years and has removed well in excess of 15,000 skin cancers. He also has a special interest in skin and fat surgery. Dr Bellaney graduated from Auckland Medical School, New Zealand in 1987. He completed his initial Specialist Dermatology training in Auckland. This was followed by a year of training at London’s prestigious St. Johns Institute of Dermatology and a further year’s procedural fellowship at Oxford, from 1994 to 1995 where he completed his Mohs Surgical Fellowship. His specialist training focused on Surgical Dermatology, in particular the surgical treatment of skin cancers, laser surgery and cosmetic and reconstructive surgery. Since that time, he has had further specific training in Liposuction in the USA, Portugal and Australia. Dr Bellaney’s cosmetic procedural training coincided with the exact time Botox® and Carbon Dioxide Laser facial resurfacing were being introduced to the world. He was one of the first specialists in New Zealand to offer Botox® and Laser resurfacing treatments. 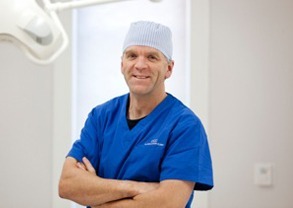 In 2004, after further training in the Tumescent Liposuction Technique (a process developed by Dermatologists in the mid 1980’s), he was the first specialist to introduce Tumescent Liposuction into the South Island of New Zealand. 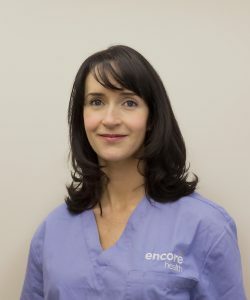 Dr Marie-Claire Fergusson MBChB, MRCGP, MRCPDerm, is a consultant dermatologist who completed her specialist medical and surgical dermatology training in Scotland and Ireland. Following this, she completed an intensive fellowship year in Mohs’ micrographic surgery and skin surgery, at the prestigious Ninewells Hospital in Dundee. She is now an accredited Mohs’s surgeon by the British Association of Dermatologists. She has a special interest in skin cancer diagnosis and has undertaken extensive advanced training in dermoscopy, where a polarised and magnified image greatly enhances accurate diagnosis of skin cancers. They are supported by the experienced and qualified Encorė Skin Cancer Clinic team. Our Skin Cancer Specialist Nurse Liz has over 10 years’ experience working with patients with skin cancer. Encorė Skin Cancer Clinic offers a range of different treatments for skin cancers, usually starting with a full skin check or a lesion check appointment. Encorė’s core philosophy is to provide safe, effective medical skincare that improves your life and wellbeing. Following skin cancer treatment, we can offer a range of procedures at Encorė Cosmetic Clinic to help minimise scarring and/or other effects of the treatment on the skin. The clinic is a private practice, working out of our distinctive blue, refurbished building in Merivale Christchurch, directly opposite St George’s Hospital. How common are Skin Cancers in New Zealand? The answer is VERY! Approximately one in three people living in New Zealand will get a skin cancer at some time in their life. Whilst most of these are the “less worrying” type of skin cancers (called Basal Cell Carcinomas), other potentially more dangerous skin cancers such as Squamous Cell Carcinomas and Melanomas are still very common. Approximately 1 in 18 people will get a Melanoma at some stage of their life. Is it only fair skinned people that need to be checked? NO. Whilst it is true that skin cancers are more common in people with fair skin, skin cancer can occur in people of any skin color. It is important to know too that a sun tan does not protect you from getting a skin cancer! Contact Encorė Skin Cancer Clinic for an appointment today.